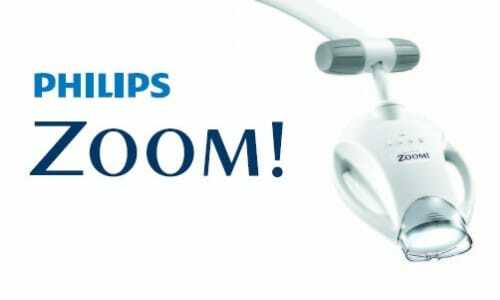 Dr. Garanzuay is proud to offer Philips Zoom teeth whitening. This new whitening system has taken the dental industry by storm in recent years. It is a quick, effective, and safe way to whiten teeth. In less than 45 minutes, we can have your smile up to eight shades whiter! Treatment consists of a dental professional applying a special hydrogen peroxide gel to the teeth and then using a UV light to break down the gel. This allows oxygen to enter the enamel, resulting in a bleaching of the teeth. The dentist will provide you with instructions on how to care for your teeth before and after treatment to ensure the whitening lasts for a very long time.